The theme of this month's box is Cutie Pie. I love trying makeup setting sprays so I was glad to get one in this month's box! My first impression is that I don't love the sprayer on this bottle but that's easy enough to fix by transferring the contents into another bottle like one of the empty mini Urban Decay All Nighter Setting Sprays I have. I will need to try it a few more times to tell if it really does make my makeup last longer. This is a dual sided eyebrow pencil with a spooly on one end. I don't use eyebrow pencils so I'll be passing this along. 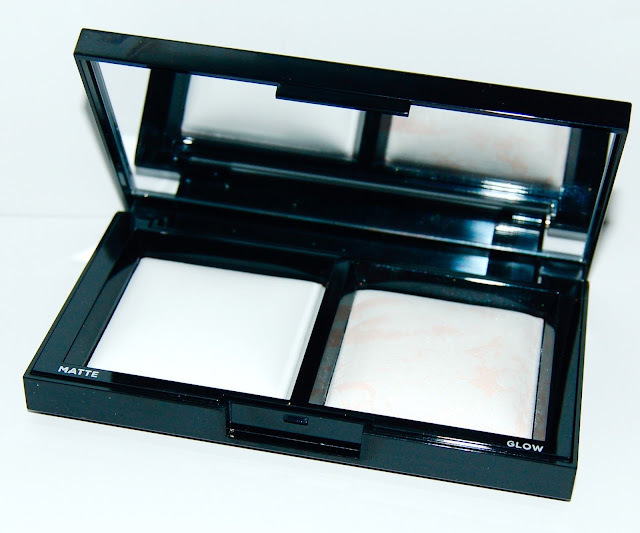 This compact has a matte setting powder on one side and a more glowy powder on the right side. This is supposed to be translucent and vanish on all skin tones. This powder is incredibly white so I'm skeptical that will be the case. We shall see. 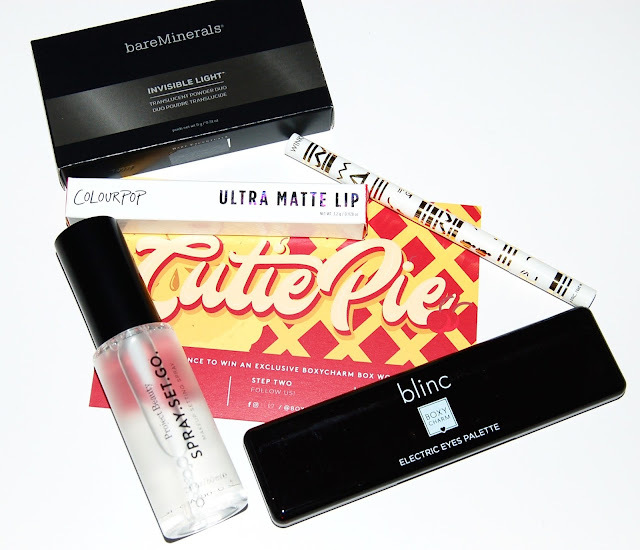 Again, I love that we are starting to see ColourPop products in beauty subscription boxes! The Ultra-Matte formula is pretty drying but I top it with a gloss and it's just fine. The shade Beeper is a great neutral brown but I already own it so I'll be giving it away. Wow, just wow, this palette is gorgeous! 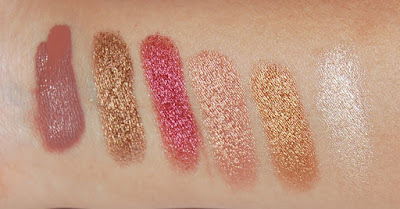 It contains 5 highly-pigmented jewel toned eyeshadows that are super shimmery. They almost feel like cream shadows! 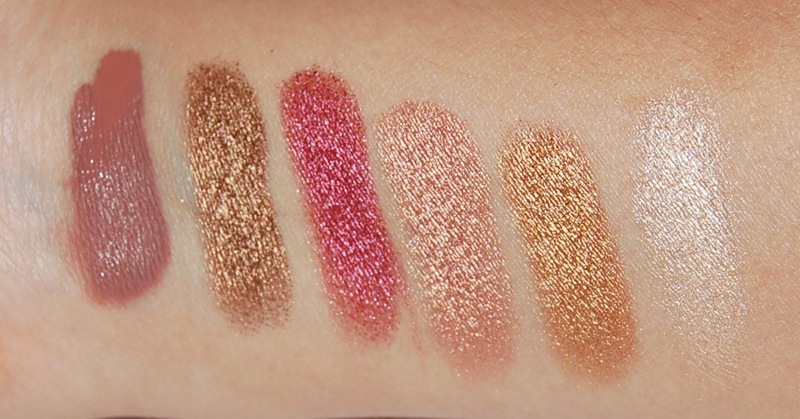 They swatch beautifully as can be seen below and they apply really nicely to the eyes as well. Boxycharm knocked it out of the park again with this month's box! I'm excited for the eye shadow palette, the face powders, and the setting spray! Each Boxycharm box costs $21, you can cancel at any time and shipping is free. The retail value of the items in this box comes to $127, that's 6 times the cost of the box! In case you haven't heard, it's already been spoiled that we are getting a Tarte Rainforest of the Sea Eyeshadow Palette in the August box, which already surpassed the price of the box! If that interests you, sign up now!